As reported by Mark Roth, Pittsburgh Post-Gazette, McGowan Institute for Regenertive Medicine deputy director Vijay Gorantla, MD, PhD, associate professor of surgery in the Department of Plastic Surgery at the University of Pittsburgh, the administrative medical director of the Pittsburgh Reconstructive Transplant Program at UPMC, and a clinician who has helped pioneer Pitt’s hand and arm transplants, is the first to acknowledge that it will be years before surgeons can attempt whole eye transplants in human patients. But he says the approach has a key advantage over other attempts to repair traumatic injuries to the eye, whether they have come from a roadside bomb, an industrial accident, or a car collision. The eye is so complex that trying to repair its internal parts is an enormous challenge. “The potential advantage of the eye transplant is you’re taking a whole eye with all its components, especially the retina,” Dr. Gorantla said. “You connect that to a residual optic nerve, if it’s present,” with the hope that the nerves from the donated eye will link up up successfully with the optic nerve going into the recipient’s brain. One of the biggest potential barriers with eye transplants is that the retina in a donated eye will die off within 2 to 4 hours of being separated from its blood supply. That will put a premium on the donor being near the recipient, Dr. Gorantla said, and, as with face transplants, it may work best if the donor is brought into the same operating room as the recipient. In fact, for soldiers or others who have received devastating facial injuries, it might make sense to do a face and eye transplant at the same time, from the same donor, he said. University of Pittsburgh School of Medicine researchers co-led by Dr. Gorantla and Joel Schuman, MD, chair of the Department of Ophthalmology, Pitt School of Medicine, and director of the UPMC Eye Center, were awarded $1.25 million from the U.S. Department of Defense (DOD) in late 2014 to fund two projects that aim to establish the groundwork for the nation’s first whole-eye transplantation program. Offered through the DOD’s Vision Research Program, the grants support conceptually innovative research that ultimately could lead to critical discoveries or major advancements. The Pitt researchers will lead a multidisciplinary consortium that includes clinicians and scientists from Harvard University and the University of California, San Diego. There are two ways that a cell can die: necrosis and apoptosis. Necrosis occurs when a cell is damaged by an external force, such as poison, a bodily injury, an infection or getting cut off from the blood supply (which might occur during a heart attack or stroke). Apoptosis, on the other hand, is when a cell commits suicide. It’s sometimes referred to as programmed cell death. Apoptosis is a form of cell death that eliminates compromised or superfluous cells. It is controlled by multiple signaling and effector pathways that mediate active responses to external growth, survival, or death factors. Our method for examining apoptosis via DNA fragmentation is by the TUNEL assay. This technique can detect early-stage apoptosis in systems where chromatin condensation has begun and strand breaks are fewer, even before the nucleus undergoes major morphological changes. The McGowan Institute Histology Core Laboratory is offering 30% off Tunel staining for the month of August, when mentioning this ad. Flow Cytometry is a valuable technology available at the McGowan Institute for Regenerative Medicine that enables researchers to investigate and/or characterize cells based on surface or intracellular expression of antigens, proteins, DNA, or enzyme function. Using fluorescent dyes and antibodies conjugated to fluorescent stains, the technology is able to rapidly interrogate and analyze thousands of cells per second and provide comprehensive data for each individual cell. “Polyploidy refers to a numerical change in the complement of chromosomes. Approximately half of hepatocytes in adult human livers are polyploid and > 90% of adult mouse hepatocytes are polyploid. Over the last several years, my lab focused on microRNA-122 (miR-122) as a putative regulator of hepatic polyploidy. Based on correlative data in tissue sections, we hypothesized that the loss of miR-122 would block normal polyploidization. To test this hypothesis directly, we needed to determine the ploidy spectrum in hepatocytes from Mir122 knockout and control mice. This analysis–which involves isolating primary hepatocytes from mice, loading with a nuclear dye such as Hoechst 33342, and quantifying nuclear content in live cells by flow cytometry–should be relatively straight forward. My first attempt to detect hepatic ploidy populations with the FACS Aria II SORP at the McGowan Institute Flow Cytometry Core failed completely; instead of detecting discrete sub-populations (e.g., diploid, tetraploid, octaploid) we detected a heterogeneous “smear.” This was incredibly frustrating because the approach has worked elsewhere. My initial reaction to the failed experiment was to test different nuclear dyes and to optimize concentration, cell number, etc. Sadly, nothing seemed to help. Ms. Guzik reminded me that mouse hepatocytes are much larger than most cell types, and she stressed that the large size could lead to poor resolution of ploidy populations. To prove this, Ms. Guzik fixed my cells in ethanol, which caused the cells to shrink. She was then able to successfully detect discrete ploidy populations, indicating that the large size of live hepatocytes was likely the culprit. After a great deal of searching (empirical troubleshooting, tech support calls, message boards, etc. ), Ms. Guzik identified a previously unseen parameter in the FACS software. The default setting for this parameter, the “window extension,” is set for small cells. I don’t completely understand the window extension parameter, but it involves the amount of signal detected by the flow cytometer for each cell. The default window extension permitted collection of only a fraction of information from each hepatocyte. With a simple keystroke, she adjusted the window extension to a level appropriate for large cells, and viola, we detected beautiful discrete ploidy populations in live hepatocytes. This was a major technical advance. We were then able to compare ploidy populations in Mir122 knockout and control cells (see the Figure). 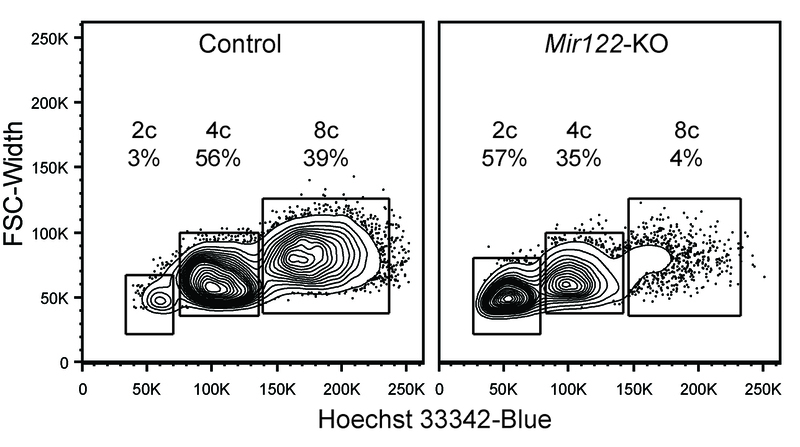 As we predicted, the loss of miR-122 dramatically impaired hepatic polyploidization. In this undertaking, Ms. Guzik immediately identified that our inability to detect tight ploidy populations in live hepatocytes could be due to cell size. Through a lot of hard work (in collaboration with my lab and on her own time) she determined that we needed to change the window extension settings. It seems like such a simple solution, but it is something I would never have imagined. Ms. Guzik dedicated herself to making our experiment succeed, and we benefitted greatly from her effort! Do you need to: Purify samples? Characterize complex samples? Define a rare subpopulation? Examine cellular function? Study proliferation or apoptosis? Design a flow experiment and need help? State-of-the-art Flow Cytometry is available to all researchers across the University of Pittsburgh campus. Instrumentation and experienced staff are provided to assist users in the understanding, development, and usage of multi-parameter Flow Cytometry in order to further their research. 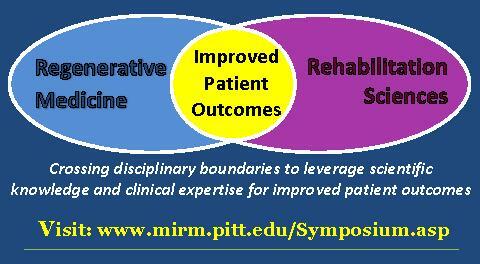 Contact Lynda Guzik for more information: 412-648-8660 or guzilj@upmc.edu. This symposium is designed to advance the use of biologic scaffolds for regenerative medicine and all general surgery applications via a series of objective presentations describing the potential benefits and risks associated with the use of such materials, factors that affect performance, and the clinical applications that may benefit most from their use. Topics range from the most basic science of scaffold remodeling at the molecular level through the preclinical and clinical level. It is not the intent of this symposium to discuss only the beneficial aspects of biologic scaffolds, but just as importantly to identify the problem areas, develop strategies for solving these problems, and hopefully initiate collaborations among basic scientists and clinicians in attendance at the meeting. Our feedback from previous symposia (this is a bi-annual event) consistently identifies the equal mix of clinicians and basic scientists as the most beneficial and rewarding aspect of the meeting. Hyperbaric oxygen therapy is a type of treatment in which patients enter a chamber and in that chamber they are kept at a higher than normal pressure and they are allowed to breathe pure oxygen. This results in a much higher than normal oxygen concentration in their blood, and that increased oxygen gets out to their tissues. Poor wound healing often results from an inadequate blood flow and inadequate oxygen delivery to the tissues, and hyperbaric oxygen can not only provide oxygen directly, but it can actually stimulate the growth of new blood vessels into the area — and in both these ways it can help wound healing. There are many indications for hyperbaric oxygen therapy. In wound healing centers, doctors would typically see patients who have diabetic foot wounds. These wounds can often be poor in blood supply and respond to hyperbaric oxygen therapy. Also, patients who have deep-seated infections, especially infections of the bone, which can sometimes be called osteomyelitis, are seen. This is another condition that can be very helpfully treated with hyperbaric oxygen therapy. And, patients who have had radiation therapy for various types of cancer treatments benefit from this treatment. Patients who have had radiation can oftentimes develop wounds and symptoms from the radiation therapy. 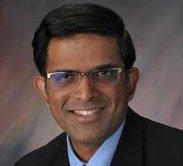 McGowan Institute for Regenerative Medicine affiliated faculty member Sandeep Kathju, MD, PhD, plastic surgeon at the University of Pittsburgh Medical Center Wound Healing Services in Pittsburgh, PA, says radiation can cause wounds inside and outside the body. “They can also be very long-term,” he said. Inside a special hyperbaric chamber, patients breathe pure oxygen for a 2-hour long session. The pure oxygen promotes the growth of new blood vessels. Dr. Kathju said, “Now those radiation damaged tissues are actually seeing more blood, and therefore getting a permanently higher delivery of oxygen.” That means faster healing. Among obese participants with type 2 diabetes mellitus, bariatric surgery with 2 years of a low-level lifestyle intervention resulted in more disease remission than did lifestyle intervention alone, according to a study published online in JAMA Surgery. 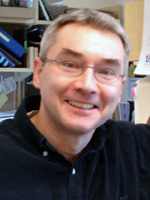 McGowan Institute for Regenerative Medicine affiliated faculty member Steven Belle, PhD, MScHyg, professor in the Department of Epidemiology, Graduate School of Public Health at the University of Pittsburgh, and a co-director in the Epidemiology Data Center in the Graduate School of Public Health, is a co-author of the study. It remains to be established whether bariatric surgery is a durable and effective treatment for type 2 diabetes (T2DM) and how bariatric surgery compares with intensive lifestyle modification and medication management with respect to T2DM-related outcomes. As demonstrated in observational studies and several small randomized clinical trials of short duration, T2DM is greatly improved after bariatric surgery. However, more information is needed about the longer-term effectiveness and risks of all types of bariatric surgical procedures compared with lifestyle and medical management for those with T2DM and obesity, according to background information in the article. Along with Dr. Belle, Anita Courcoulas, MD, MPH, and colleagues assessed outcomes 3 years after 61 obese participants with T2DM who were randomly assigned to either an intensive lifestyle weight loss intervention for 1 year followed by a low-level lifestyle intervention for 2 years or surgical treatments (Roux-en-Y gastric bypass [RYGB] or laparoscopic adjustable gastric banding [LAGB]) followed by low-level lifestyle intervention in years 2 and 3. Fifty participants (82 percent) were women, and 13 (21 percent) were African American. At 3 years, any T2DM remission (partial or complete) was achieved in 40 percent (n = 8) of RYGB, 29 percent (n = 6) of LAGB, and no intensive lifestyle weight loss intervention participants, while complete remission was achieved in 15 percent of RYGB, 5 percent of LAGB, and no intensive lifestyle weight loss intervention group participants. McGowan Institute for Regenerative Medicine affiliated faculty member Anna C. Balazs, PhD, Distinguished Professor of Chemical and Petroleum Engineering, and Steven P. Levitan, PhD , John A. Jurenko Professor of Electrical and Computer Engineering, integrated models for self-oscillating polymer gels and piezoelectric micro-electric-mechanical systems to devise a new reactive material system capable of performing computations without external energy inputs, amplification, or computer mediation. 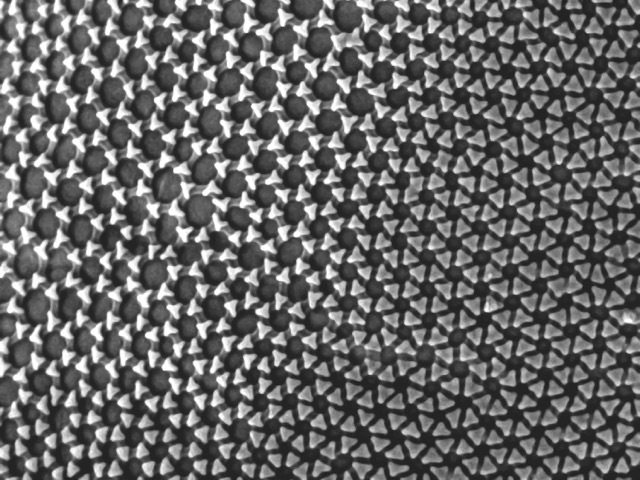 Their studies combine Dr. Balazs’ research in Belousov-Zhabotinsky (BZ) gels, a substance that oscillates in the absence of external stimuli, and Dr. Levitan’s expertise in computational modeling and oscillator-based computing systems. By working with Victor V. Yashin, PhD, Research Assistant Professor of Chemical and Petroleum Engineering and lead author on the paper, the researchers developed design rules for creating a hybrid “BZ-PZ” material. Multiple BZ-PZ units can be connected in serial or parallel, allowing more complicated patterns of oscillation to be generated and stored in the system. In effect, these different oscillatory patterns form a type of “memory,” allowing the material to be used for computation. Dr. Levitan adds, however, the computations would not be general purpose, but rather specific to pattern-matching and recognition, or other non-Boolean operations. Drs. Balazs and Levitan note that the current BZ-PZ gel model oscillates in periods of tens of seconds, which would allow for simple non-Boolean operations or pattern recognition of patterns like human movement. The next step for Drs. 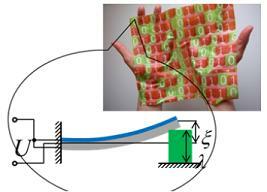 Balazs and Levitan is to add an input layer for the pattern recognition, something that has been accomplished in other technologies but will be applied to self-oscillating gels and piezoelectric films for the first time. Researchers from the University of Pittsburgh’s Thomas E. Starzl Transplantation Institute at UPMC and the McGowan Institute for Regenerative Medicine have developed a new system for organ preservation based on machine perfusion with a cell free oxygen carrier solution at subnormothermic temperatures. This new system provides effective oxygenation to the organ even though it’s outside of the body, a process which alleviates the damage that comes with prolonged storage on ice. More than 15,000 people are waiting for a liver transplant in the United States, but fewer than 7,000 will receive one this year. The conventional method of storing and transporting organs is not very effective. As a result, approximately 20 to 40 percent of donor livers cannot be transplanted into recipients because of extended injuries stemming from cold storage preservation. The further development of this new system for organ preservation could mean the difference between life and death for thousands of people on the organ donor waiting list if fully approved by the FDA for clinical use. With the decline of government funding of scientific research, projects like this are increasingly reliant on people like you. The researchers from the Thomas E. Starzl Transplantation Institute at UPMC and the McGowan Institute for Regenerative Medicine want you to join their transplant team by visiting engage.pitt.edu/organicu and making a gift to support this important life-saving work today. As of the end of July 2015, the funding initiative has raised 83% of the targeted goal. Illustration: Dr. Christopher Hughes and Dr. Paulo Fontes of Pitt’s Thomas E. Starzl Transplantation Institute at UPMC and the McGowan Institute for Regenerative Medicine. Osteosarcoma: What Is It and How Is It Treated? McGowan Institute for Regenerative Medicine affiliated faculty member Kurt Weiss, MD, assistant professor of orthopaedic surgery, UPMC Department of Orthopaedic Surgery, Division of Musculoskeletal Oncology, and the Stem Cell Research Center, and director of the Cancer Stem Cell Laboratory within the Stem Cell Research Center, is one of only a handful of surgeons who specialize in sarcoma. Dr. Weiss is also one of the very few physician-scientists searching for a cure for this disease, and the only one who is also a former osteosarcoma patient. Part of the orthopaedic surgery team at UPMC, he still spends at least 2 days in the lab, studying the science behind the disease and looking for the answer that will stop it for good. Dr. Weiss received a 5-year NIH grant to establish this lab in 2013. Osteosarcoma is a cancerous tumor in a bone. Specifically, it is an aggressive malignant neoplasm that arises from primitive transformed cells of mesenchymal origin (and thus a sarcoma) and that exhibits osteoblastic differentiation and produces malignant osteoid. Osteosarcoma is the most common histological form of primary bone cancer. It is most prevalent in children and young adults. Osteosarcomas tend to occur at the sites of bone growth, presumably because proliferation makes osteoblastic cells in this region prone to acquire mutations that could lead to transformation of cells (the RB gene and p53 gene are commonly involved). The tumor may be localized at the end of the long bone (commonly in the metaphysis). Most often it affects the proximal end of the tibia or humerus, or the distal end of the femur. Osteosarcoma tends to affect regions around the knee in 60% of cases, 15% around the hip, 10% at the shoulder, and 8% in the jaw. “After we establish the diagnosis of osteosarcoma, we immediately begin chemotherapy. After about 10 weeks of induction chemotherapy, the patient will have complete surgical removal of the tumor and reconstruction,” said Dr. Weiss. “After the patient is healed from their surgery, typically about 2 weeks, then they go back and have additional chemotherapy.” Treatment is often referred to as “sandwich surgery.” With this type protocol, the 5-year survival rate is approximately 65 percent. Dr. Weiss is a native Pittsburgher who has been affiliated with UPMC’s Department of Orthopaedic Surgery since 1994, when he performed orthopaedic basic science research as a Notre Dame undergraduate student. He attended Jefferson Medical College in Philadelphia, during which he participated in a 1-year research fellowship at the National Institutes of Health, where he studied the biology of various forms of bone cancer. Dr. Weiss returned to Pittsburgh for his residency in orthopaedic surgery, and completed a fellowship in musculoskeletal oncology at the University of Toronto. Congratulations to McGowan Institute for Regenerative Medicine faculty member Robert Kormos, MD, the Brack G. Hattler Professor of Cardiothoracic Transplantation, Director of the Artificial Heart Program, Co-Director of Heart Transplantation, Department of Cardiothoracic Surgery, Heart and Vascular Institute, University of Pittsburgh Medical Center, and fellow authors of the paper, “Long-term mechanical circulatory support (destination therapy): On track to compete with heart transplantation?” This publication was one of five recipients of the Most Cited Paper Award for The Journal of Thoracic and Cardiovascular Surgery. These awards go to the top five cited papers that contributed to the 2013 Impact Factor. The Pittsburgh Business Times Fast Trackers Award honors leaders in Pittsburgh’s business and non-profit community who are under 40 years old. McGowan Institute for Regenerative Medicine faculty member Steven Little, PhD, is a 2015 awardee. Winners are selected for their successful efforts to grow a business or non-profit and have shown to have had significant impact on the growth, scope, or impact of their organization. Dr. Little and other honorees will be recognized at an event and in a special supplement in the Pittsburgh Business Times. Dr. Little is the Chairman of the Department of Chemical & Petroleum Engineering at the University of Pittsburgh, and is the youngest department chair in the history of the Swanson School of Engineering. He has made impactful achievements to grow the Department (which are impressive in their own right), along with being a world-renowned scientist, an award winning educator, the creator of a high-tech startup here in Pittsburgh, and a Director of a non-governmental organization that builds schools and educational infrastructure in Sierra Leone, Africa. He has realized all of these achievements by the age of 37. Dr. Little is widely recognized on the University of Pittsburgh campus as a superb teacher, and in 2013 was the recipient of the campus-wide Chancellor’s Distinguished Teaching Award and the Carnegie Science Center Award for University Educators. Dr. Little is an innovator who has used his unique talents to create some radical yet very effective strategies for treating disease, leading to the creation of a Pittsburgh-based startup company, Qrono Inc.—the first custom-design controlled release service-company to market this new medical technology. Dr. Little’s focus is on “biomimetic” therapies that replicate biological functions and the interactions of living cells via synthetic systems. This “platform technology” utilizes biodegradable polymer matrices developed by Dr. Little to treat different conditions utilizing one core technology. Stephen Badylak, DVM, PhD, MD has been selected to serve as the Deputy Editor of the new Nature Partners Journal-Regenerative Medicine. Congratulations Dr. Badylak! npj Regenerative Medicine is an online-only, open access, peer-reviewed journal dedicated to publishing high quality research involving strategies and techniques to help the human body repair, replace and regenerate damaged tissues and organs. The journal will cover advances in the use of cells, factors, and other biological building blocks that are critical elements of normal development, along with bioengineered materials and technologies to treat a range of traumatic injuries and degenerative diseases. The journal will consider outstanding work from researchers working on stem cell physiology, control of cell growth and death, stimulation of tissue replacement and the factors that regulate these processes, and advances in bio-engineering to support endogenous repair. npj Regenerative Medicine aims to provide a collaborative forum at the interface of developmental biology and regenerative medicine, bringing together researchers to develop effective therapies for promoting inherent mechanisms of tissue/organ repair, through discovery of the basic mechanisms behind the regenerative process. 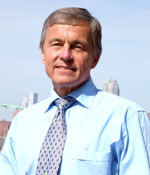 Dr. Kalinski is a professor of surgery and of immunology, School of Medicine; professor of infectious diseases and microbiology, Graduate School of Public Health; and professor of bioengineering at the Swanson School of Engineering, all at Pitt; as well as director of the Immunotransplantation Center in the Division of Surgical Oncology at the University of Pittsburgh Cancer Institute. His research aims to determine the cellular and molecular background of the interactions between tumors and the immune system and to develop effective measures of counteracting tumor-associated immune dysfunction and promoting immune-mediated tumor destruction. 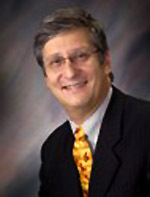 Dr. Kalinski received his MD from the Warsaw University Medical School in Warsaw, Poland, and then went on to the University of Amsterdam, Amsterdam, The Netherlands, to receive his PhD in Immunology in 1998. Following his graduation, Dr. Kalinski did postgraduate work in the Department of Cell Biology and Histology at the Academic Medical Center, a division of the University of Amsterdam. 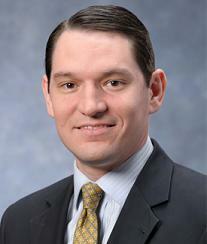 Election to ASCI reflects early career accomplishment as new members must be 50 or younger. ASCI represents physician-scientists who are “at the bedside, at the research bench, and at the blackboard.” Up to 80 new members are elected annually from hundreds of nominations. Former University of Pittsburgh Swanson School of Engineering student Rebecca Gottlieb, PhD, is now the Director of Advanced Research at Medtronic Diabetes, Northridge, California, where she leads a team in advanced research concepts toward future generation products for the management of diabetes, including closed loop algorithms, sensors, drug delivery, and supporting products. 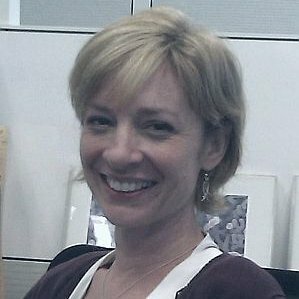 Dr. Gottlieb completed her PhD in the laboratory of McGowan Institute for Regenerative Medicine affiliated faculty member James Antaki, PhD, and also worked for McGowan Institute affiliated faculty members Stephen Winowich and Richard Schaub, PhD, in UPMC’s artificial heart clinical program. 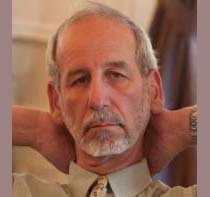 While at Pitt and UPMC, Dr. Gottlieb assisted with equipment during human implantation and explantation of artificial heart devices, and monitored clinical values in operating room, intensive care unit, and step down unit settings. She trained on various heart assist devices and intra-aortic balloon pumps (IABPs), including CardioWest TAH, Thoratec VAD, Novacor VAD, Heartmate VAD, and Abiomed VAD; Arrow IABP, Datascope IABP, and Bard IABP. 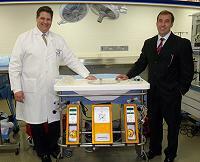 She also monitored IABP parameters and assisted with in-hospital and emergency air transport of patients with IABPs. On August 27, 2015, Dr. Gottlieb will receive the highest honor Medtronic bestows. She will be honored by induction into the Bakken Society. The Bakken Society is an honorary society that recognizes employees of Medtronic, Inc. for their outstanding contributions to Medtronic’s technical or scientific progress. Membership in the Bakken Society is Medtronic’s highest honor for technical contributions. The Society is named after Earl E. Bakken, Founder and Director Emeritus of Medtronic and charter member of the Society. In support of his advanced research and career aspirations in the biomedical-engineering fields, Drake Pederson, recent graduate of the University of Pittsburgh’s Swanson School of Engineering and member of the laboratory of McGowan Institute for Regenerative Medicine director William Wagner, PhD, professor of surgery, bioengineering, and chemical engineering at Pitt, has been granted a 2015 Whitaker International Fellowship. The Whitaker International Fellows and Scholars Program provide fellowships, scholarships, and summer grants for overseas research opportunities for emerging professionals in the bioengineering fields. Mr. Pedersen will use the 1-year fellowship to conduct biomedical research in Italy. Drake Pedersen, a native of Charleston, South Carolina, will work with a team of cardiovascular researchers at the University of Palermo in Italy. 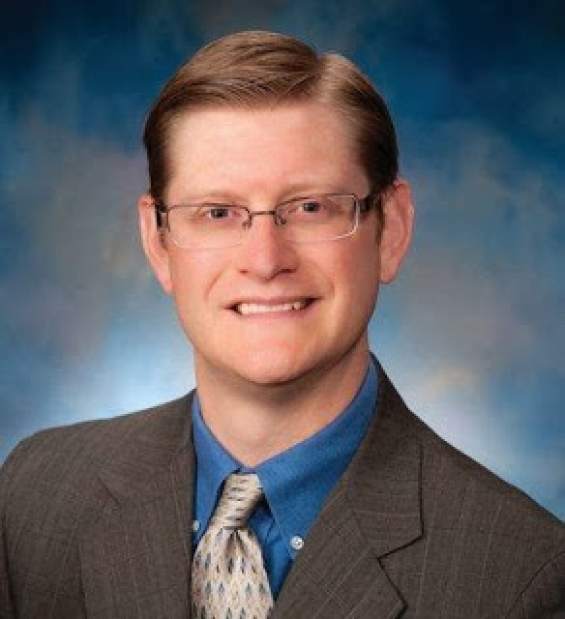 Mr. Pederson will assist in a large-scale project that seeks to enhance the durability of tissue-engineered heart valves, which are currently used in nearly 40 percent of the world’s heart transplant procedures. Mr. Pedersen plans to pursue a career in the field of cardiovascular bioengineering. As an undergraduate researcher at Pitt, he has extensive experience in Dr. Wagner’s lab where he worked on various research projects that analyzed blood flow and platelet deposition over clinically relevant surfaces. 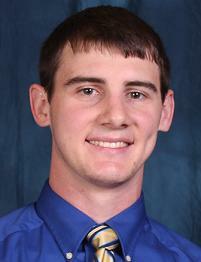 A 2011 Eagle Scout, Mr. Pedersen is a member of Pitt’s Biomedical Engineering Society as well as Tau Beta Pi. He earned a Bachelor of Science degree in bioengineering from the Swanson School in April 2015. The Whitaker International Fellowships are administered through the U.S. Student Programs Division at the Institute of International Education. The Whitaker International Fellows and Scholars Program was founded by the Institute of International Education, who inherited the assets of the now closed Whitaker Foundation, in 2006. Established in 1975, the Whitaker Foundation contributed nearly $700 million in support of biomedical-engineering programs in universities throughout the United States. #149 – Dr. Jeremy Kimmel is the Director of New Technology at ALung Technologies. Dr. Kimmel discusses the work being done at ALung Technologies. Surface of the cuticle of a springtail. Scanning electron microscopy. Springtails are tiny non-insect hexapods that live in damp soil. Their exoskeletons have evolved interesting cuticle features that regulate wetting properties of their surfaces.